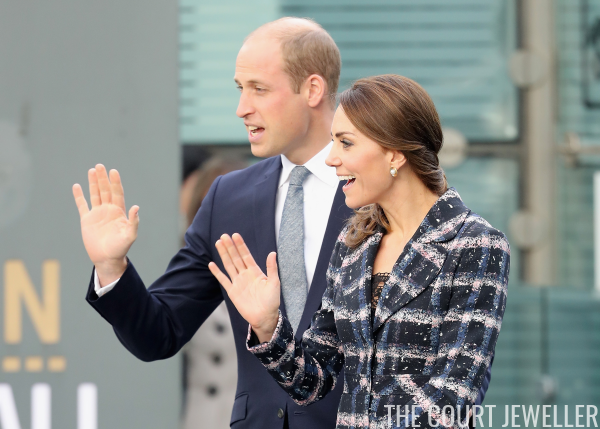 Here's a close-up of the earrings, which are from Oscar de la Renta. 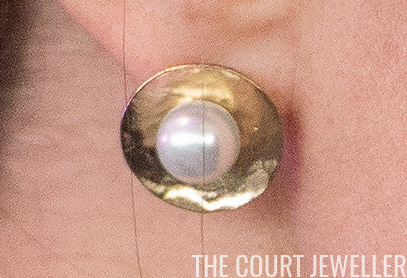 Net-a-Porter describes them as "hammered gold-plated faux pearl earrings." The pair retailed for £170, but they're currently out of stock on the site. 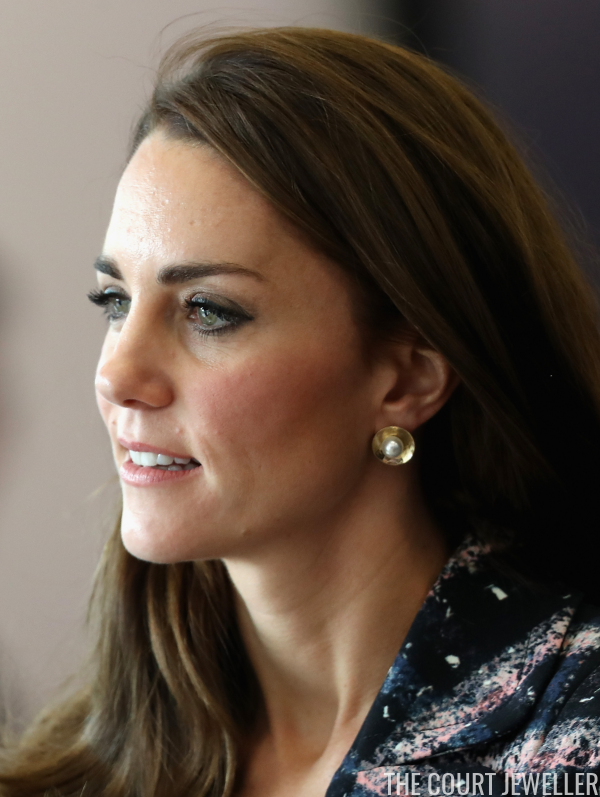 I like seeing Kate take chances with her jewelry, but this pair feels a little dated to me. What do you think?